Molly Wright Tarot is Now Available! The Molly Wright tarot deck is now available in all its toon glory! 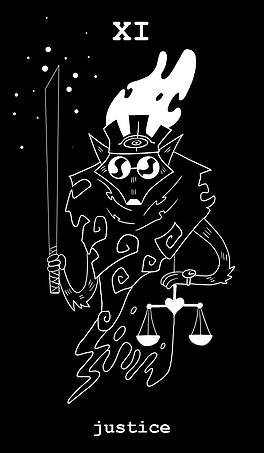 I recently expanded the scope of my tarot card project to include any chaos magicians. 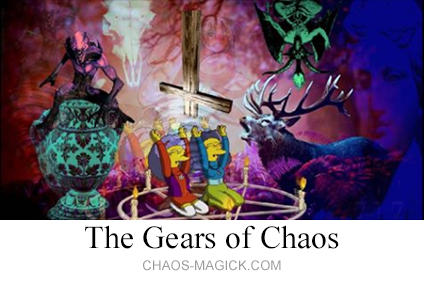 What does the “chaos” in chaos magick stand for? Completed a card for Iggy’s CMG Artist Collab deck. Here’s an idea I had while trying to divine the location of face-down cards in a forty servants deck (but any deck will do). You can use simple optical illusions to allow your subconscious to directly guide your conscious mind. 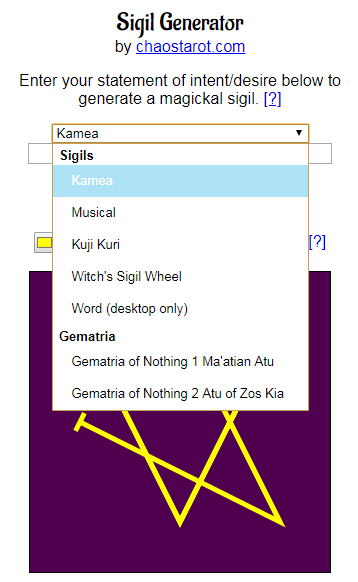 I have added Kuji Kuri output to the Sigil Generator. You may know these as “Ninja Hand Signs” but their history actually goes back further than their arrival to Japan. 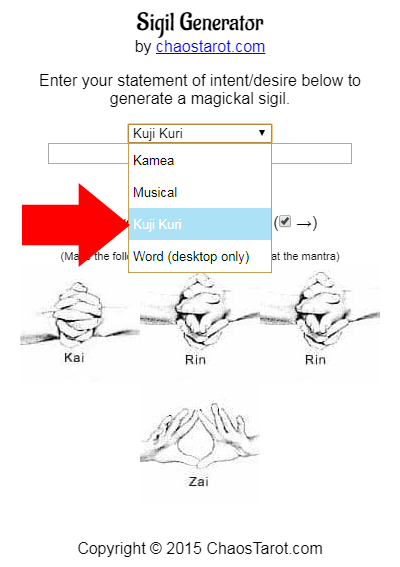 You can use these by performing the hand gestures and/or reciting the mantra. 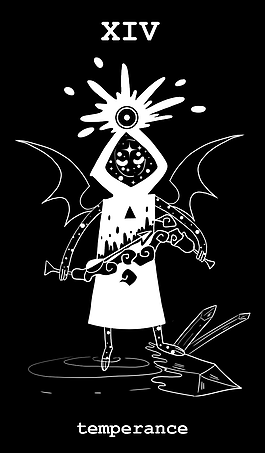 Inks are up for the 5 of Disks for the CMG Collaboration deck (a separate project featuring many different artists).